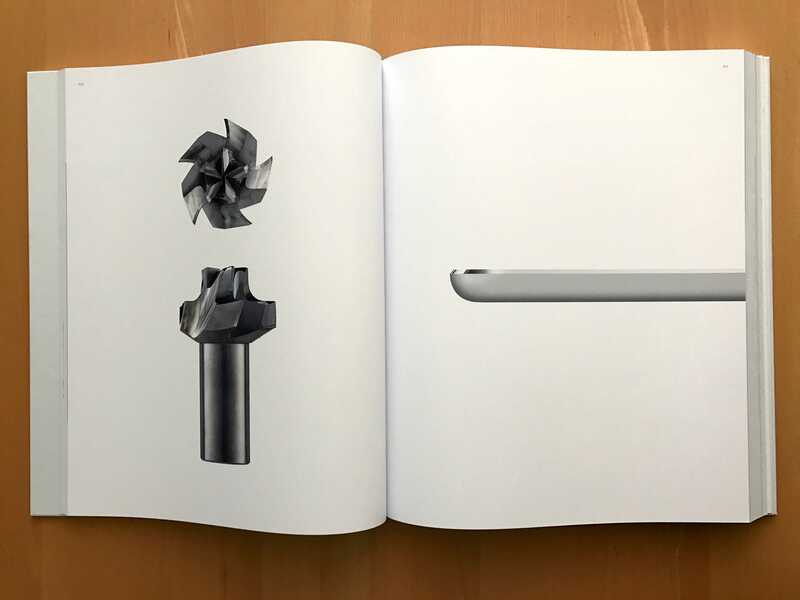 Apple's Industrial Design team has published a book of its work over two decades: Designed by Apple in California. Increasingly, some Apple fans think Jony Ive has lost it. He’s killing ports and headphone jacks left and right. The latest MacBooks value form over function. He’s designing gold watches for the 1 percent. And now his glossy new photo book, Designed by Apple in California, looks like a $300, linen-bound ego trip. 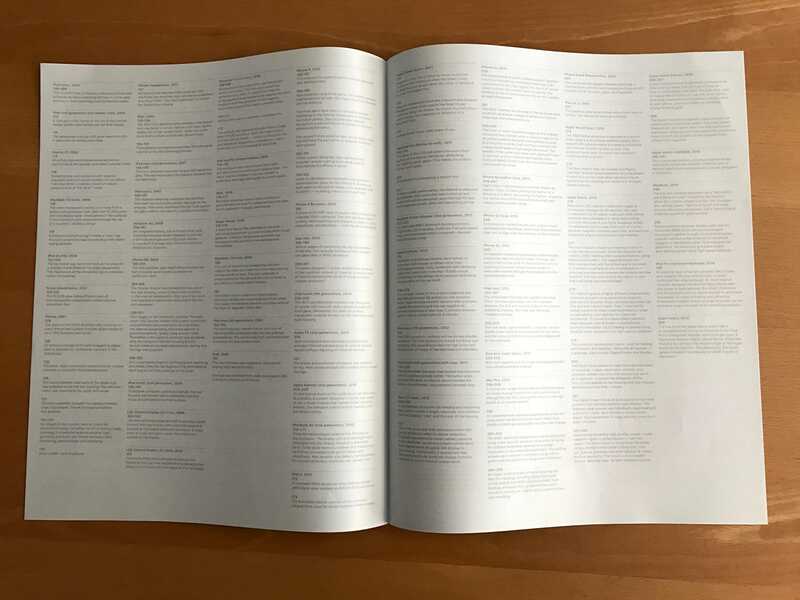 The giant, 300-page book is a retrospective of the products developed by Ive’s celebrated industrial design team. Filled with 450 photos of Apple products, the book was eight years in the making and required nothing short of the rethinking of paper itself. It’s printed on custom-milled sheets with gilded silver edges, using special low-ghost ink. It comes in two sizes and costs an arm and a leg ($199 for the smaller version; $299 for the bigger one). Hell if I wanted to see old Apple crap all I have to do is look around my office, $300 I would’ve never spent anyways, saved. But here is why the book is a worthy effort. 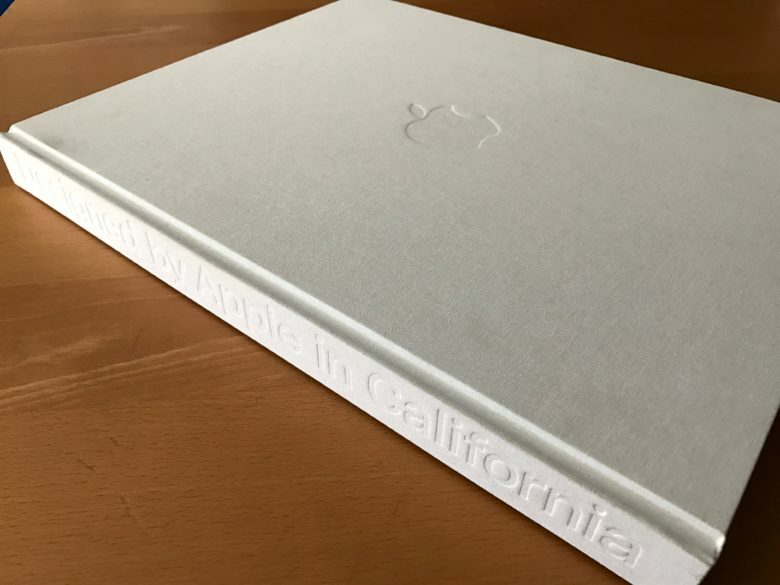 Designed by Apple in California is a catalog of Apple’s products from 1998’s iMac to 2015’s Apple Pencil. It doesn’t include all the products in that time frame — just the ones the team deemed significant. Significant in terms of impact, or materials used, or where they learned something. Some of the pictures are just products they are fond of. The photos were shot by photographer Andrew Zuckerman, who has collaborated with the design team before. The photos are shot in Zuckerman’s signature style — high-contrast images with stark-white backgrounds. Zuckerman and the design team didn’t have all the products on hand, so they had to go out and buy some vintage Apple gear for the shoot, according to this interview in Wallpaper. The first image in the book is of five multicolored iMacs arranged in a circle, recreating an early ad for the machines. They couldn’t use the original photo — it wasn’t up to scratch. The book is light on details. There’s a short introduction by Ive at the front, followed by 300 pages of nothing but photos. The spline on the 5052 aluminum alloy housing for every iPhone was custom fit to the unique shape of each 304 stainless steel bezel. This brevity is the book’s biggest disappointment. It’s sometimes unclear what you are looking at, especially the images of the tools or production processes that are sprinkled throughout. Pictures of polishing wheels, molds and drill bits look fascinating, but their role in the products’ manufacturing remains unclear. This spread shows an iPhone’s bezel and the routing tool used to cut it. But to figure this out, readers have to refer to the separate booklet that ships with the book. Sadly, the notes provide little context or explanation. There’s no narrative, no explanation of problems encountered or solutions discovered. I’d love to know why the designers picked one design over another; why they chose a particular finish or material; how a product went through a series of iterations until Apple settled on its final form. There’s nothing about the team’s philosophy or workflow — the constant brainstorming, sketching and prototyping. In this sense, Designed by Apple in California is the opposite of the last design book I’ve collaborated on, Paul Kunkel’s Appledesign. That book contained several hundred pages of dense text, with a few pictures in a middle insert. 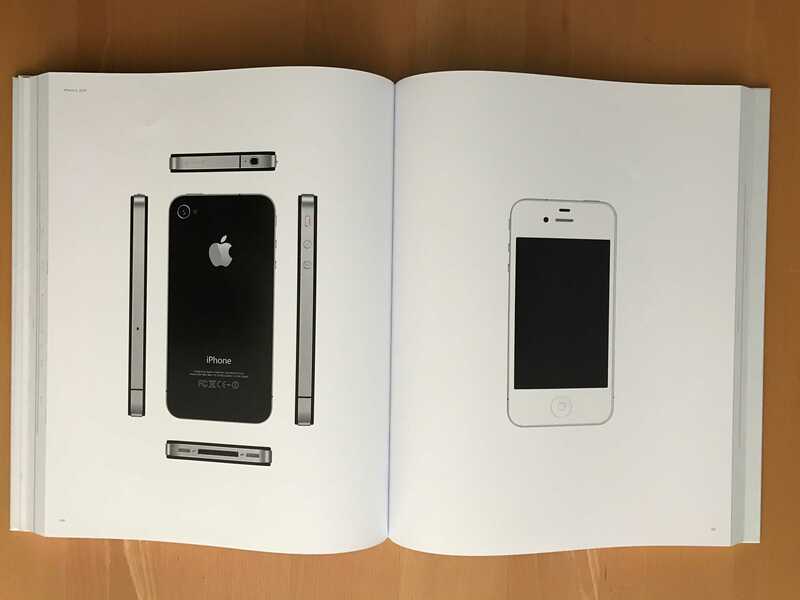 Kunkel’s book details the previous era of Apple design, from the late 1980s to the late 1990s before Steve Jobs returned. Ive makes an appearance toward the end of Appledesign, which details his work on the Apple Newton (a product Jobs discontinued) and the 20th Anniversary Mac. Kunkel’s book is a tough read. It’s dense and detailed with little narrative flow. The new book has the same problem, even though it’s all pictures and no words. At the back of the book is an insert with notes for all the photos. Designed by Apple in California is dedicated to the memory of Steve Jobs. 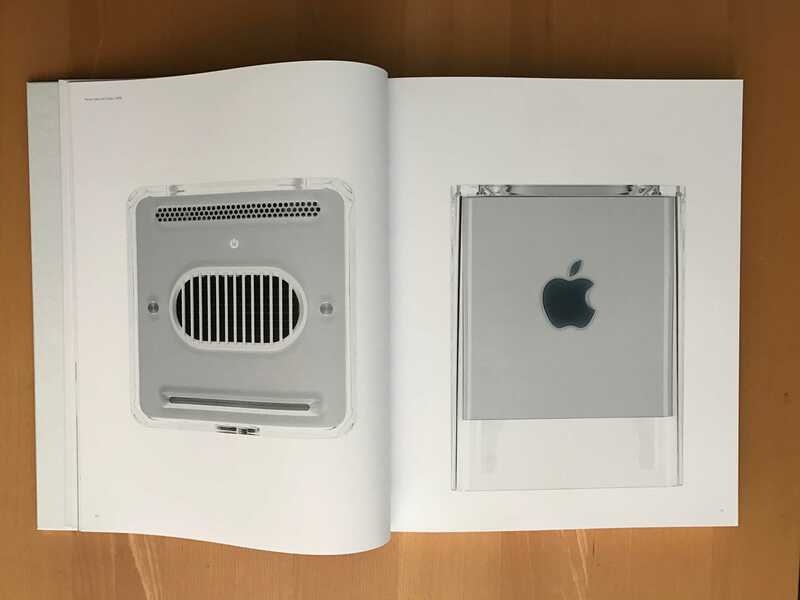 The book is a catalog of the products developed under Jobs’ rule, starting with 1998’s iMac. (The iMac was the first product in Jobs’ turnaround plan, and the first radically new design-driven machine). The dedication is driving some people up the wall, too. Jobs was famously unsentimental. He often said Apple focused on the future and never looked back. This was certainly part of his unsentimental personality. Jobs wasn’t nostalgic at all. He ruthlessly killed underperforming products and set Apple on an aggressive path to “cannibalize” its own products before competitors could do so. Critics say that Jobs would never countenance such a book. And in doing so, Apple is looking backwards. Bu it’s because of Jobs that this book exists. Woking with Jobs, Ive’s team developed an amazing string of hit products: iMac, iPod, PowerMac Cube, titanium PowerBooks, iPhone, iPad and so on. During this time, the design team got little or no recognition. It received design awards, including prestigious black pencils from the D&AD, which named Apple’s crew the best design team of the last 50 years. Ive was permitted to appear in product videos, talking about design with a white background, but his team got scant recognition. This is important because no single individual at Apple is responsible for any one product or innovation. All design decisions are worked out by the entire team. Ive led the team and signed off on the big design decisions, but the products are truly a team effort. Apple’s designers gave no interviews during that time and didn’t attend any conferences. Meanwhile, Jobs hogged the spotlight, getting all the praise and credit. The public perception is that Jobs dreamed up Apple’s products from whole cloth. In reality, many of them sprang directly from the creative minds in Apple’s design studio. Books like Walter Isaacson’s Steve Jobs biography only made things worse. It perpetuated the myth that Jobs alone was responsible for Apple’s success. It didn’t detail how he worked or who he worked with. Or, more importantly, who did what inside Apple. The situation chafes a lot of Apple staffers. They feel like they made important contributions to historic products, but nobody knows about their efforts. Their work is entirely anonymous. There’s no public recognition, and they are forbidden from talking, thanks to to Apple’s strict secrecy policies. 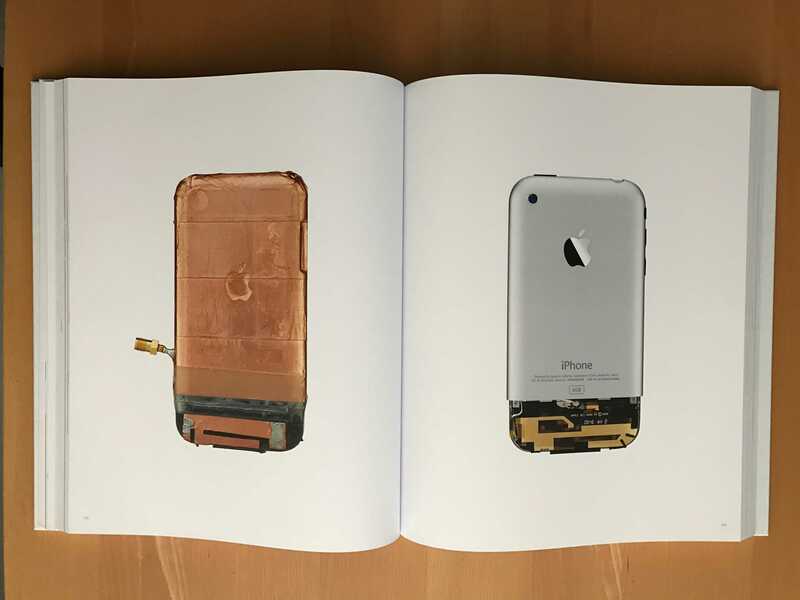 This spread shows the first iPhone with and without its back casing. Designed by Apple in California sets the record straight, at least a little bit. Apple’s wall of secrecy has been crumbling in recent years due to a slow thawing of relations with the media. For instance, The New Yorker profiled Ive in a 14,000-word piece that pulled back the curtain a bit. Still, I know Ive is tightly constrained in what he can say. Apple views its processes as industrial secrets that provide a competitive advantage. The company closely guards those secrets. That’s why Ive often talks in maddening generalities that sound like platitudes and designer cliches. He is forbidden from being more specific. Designed by Apple in California is very much in that vein. It reclaims a small portion of credit for the design team — the designers’ names are listed in the back (a rarity outside of obscure patent filings) — without being too specific about the company’s secrets. The result is frustrating because there’s a ton left unsaid. There’s a lot left to learn. But I think it’s fair that a team that worked so hard and so successfully is now getting a little bit of ownership over its hard work. Members of Apple’s industrial design team deserve to be better known. This book is a small push against Apple’s strict secrecy policies, which rob staffers of the credit they deserve. Should you buy Designed by Apple in California? Sure, if you can afford the Apple-esque $300 price tag. I would rather it cost $30 and came crammed with interviews of Apple designers, but it doesn’t. It could be worse. Apple designer Marc Newson’s book Works costs a cool $6,000. 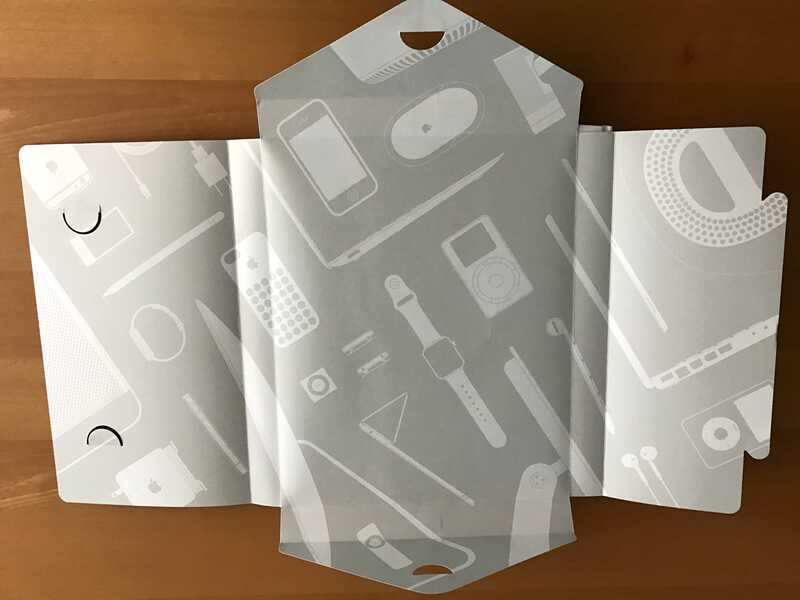 The book comes in a nice paper wrapper decorated with images of Apple products.